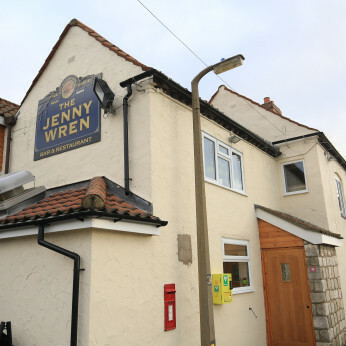 The Jenny Wren is a premium pub, bar, and restaurant centrally located in the heart of Susworth, just a short drive from Scunthorpe and the historic town of Gainsborough. We serve a delicious menu throughout the whole day, a variety of traditional pub food classics, vegetarian dishes, chefs daily specials, children's meals and great British roasts on a Sunday- there's somethings for everyone at The Jenny Wren. Whether you're looking for a pub to enjoy a relaxing drink after work, letting your hair down with friends or family, or even accommodate a business lunch, you'll be sure to dine in style at The Jenny Wren, no matter what the occasion. We've got our very own river bank so when the sun is shining there really is nothing better than dining outside with your favourite refreshments. Let us welcome you to our seating area overlooking the River Trent, where you can enjoy a choice from our impressive selection of wines, real ales, beers and premium spirits. You are welcome to join us with your well behaved four legged friend, we welcome you into our back bar or on our river bank, with plenty of walks to enjoy nearby. Whether you're planning a romantic evening with your partner, a relaxing midweek drink with friends, or a lively night out. The Jenny Wren will not disappoint!